I have had few very crappy days. It just seems that I can’t even get a brake. At least I am going home tomorrow after visiting my family for three weeks. I am ready to sleep in my own bed. You might remember how last week I talked about organizing myself as well as learning more about time management, well I have been wasting spending lots of time reading about time management that made me realize that I waste lots of my time. I do have to say in my defense that I find lots of informative information that I will have to find some time to go back and read in depth. To make this sweet and short I decided to tackle this problem right away. 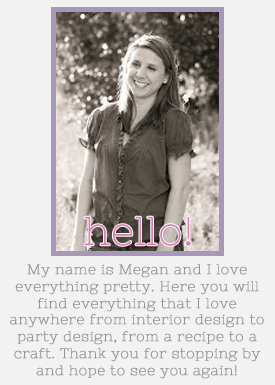 I have been working on a “just for me” planner. I will discuss this next week, but it is nothing fancy I promise. 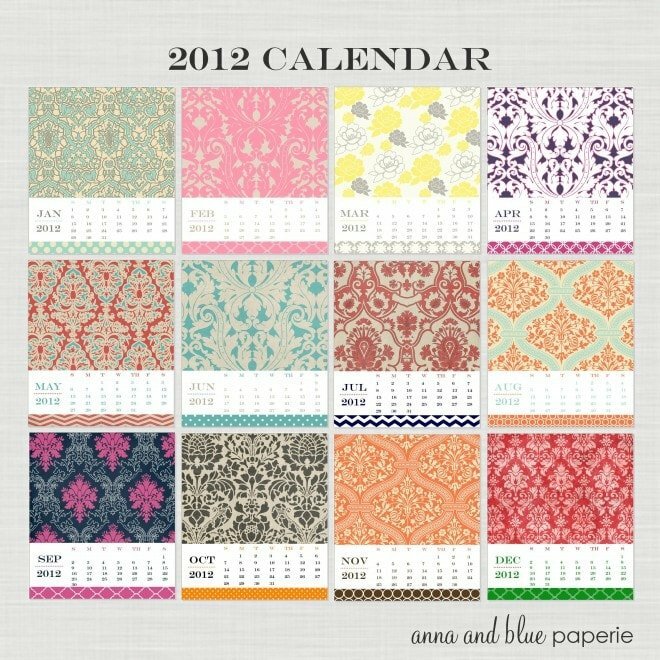 One of the main parts of the calendar is a yearly or monthly calendar. 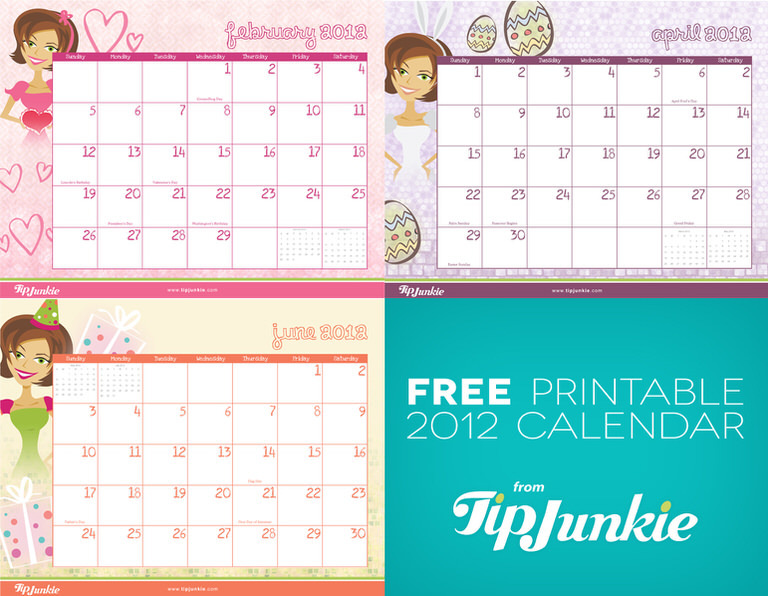 Here are few of the free calendar printable I found online that I thought looked good. The TomKat Studio had this great simple modern calendar. How about these great patterned beauties? How easy is to make one yourself if you ever wanted a great and easy DIY.